The train line between the two towns Palma and Sóller was initially opened in 1912 and travels 17 miles from the south coast northwards through the island’s abundant countryside. The line was originally built for the fruit farmers of Sóller, as a means of transporting their oranges and lemons down to the capital Palma to sell at market. A year after the railway was built, a tram was added, linking Sóller to its port 5 km away, and consequently bringing the north-west coast of the island within easy reach of the capital city. 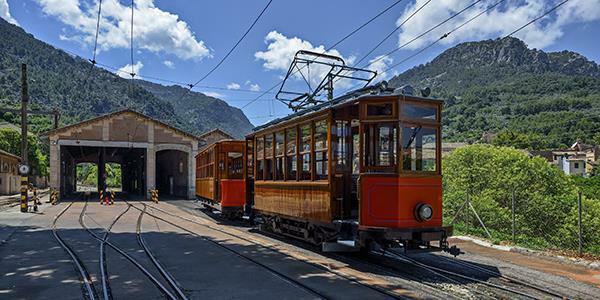 The train's vintage carriages, with their mahogany panels and brass fittings, are still in use and the pretty route takes passengers across country, with views of pine forests, olive groves and orchards and through a series of tunnels which cut through the Tramuntana mountains. 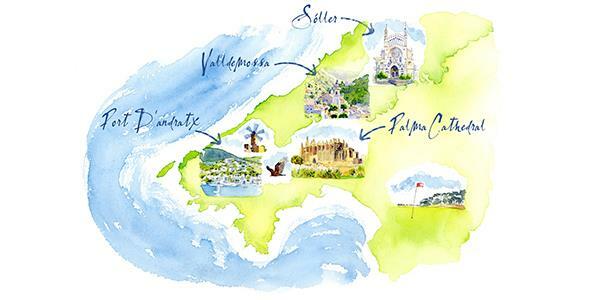 During the high season there are 6 trains per day travelling in either direction and you can catch them from the Plaça d'Espanya in Sóller or the Plaça d'Espanya in Palma. In Palma they depart from the large elegant building just off the main street. If you fancy a pit stop along the way, the train stops at the town of Bunyola, roughly half way. 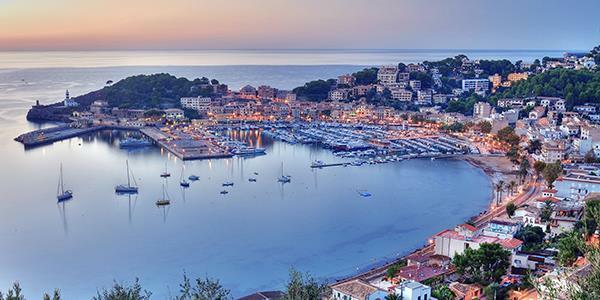 Once in Sóller the trams to the port run hourly and the journey time is roughly 20 minutes. It’s worth double checking departure times for the different legs of the journey on the official website here. Prices vary depending on what you want to do, but if it’s a round trip that you’re planning, including tram, it will cost €32. This little taste of history is a great way to get exploring while staying at Biniorella.